Girolamo Savonarola was a friar during the Italian Renaissance who enthusiastically preached against the evil he saw in his day. He pointed out the humanistic themes commonly found in the Renaissance, and the immorality to be found everywhere. He is known for urging the people to burn their luxurious and pagan possessions in the “Bonfire of Vanities”, and he even convinced Renaissance painters to burn their painting depicting scenes from pagan mythology. His preaching moved people, many times to change. His fight for the return of the Scriptures and cultural morality was stopped when Pope Alexander VI declared him excommunicated, and demanded that he be turned over to him. 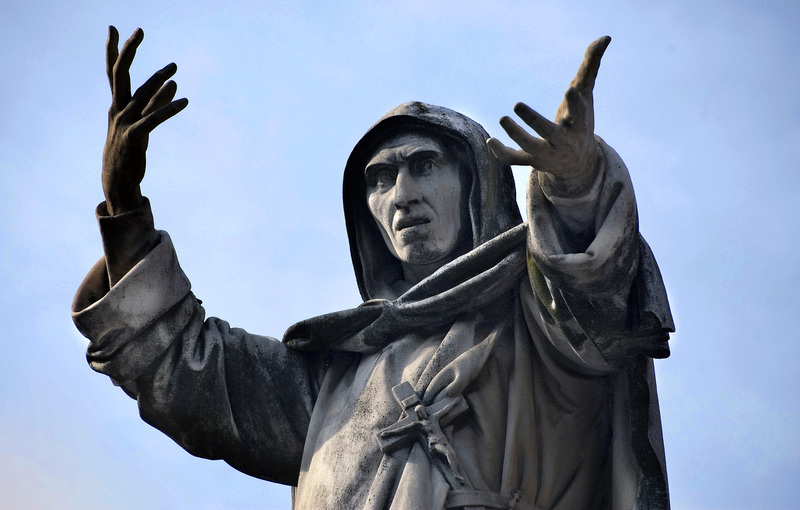 However, the Florentine populace, in whose city Savonarola was in, insisted on taking care of him themselves, and tried and burned Savonarola at the stake.